Look how this is different from other divine commands, “Follow these commandments or you will be punished!” There is no threat of punishment here. As a result of this journey God says, “I will make your name great and you will be a blessing” (12:2). 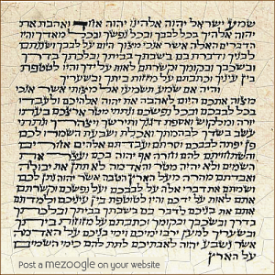 Rashi correctly translates this as a command as opposed to something Avram will receive: “… and you will be a blessing”—you will bring blessings to others. May you have the personal qualities of Avram: a generous demeanor, a humble soul, and a modest spirit, then blessings will be available to you to bestow upon others (based on commentary in Itturay Torah).